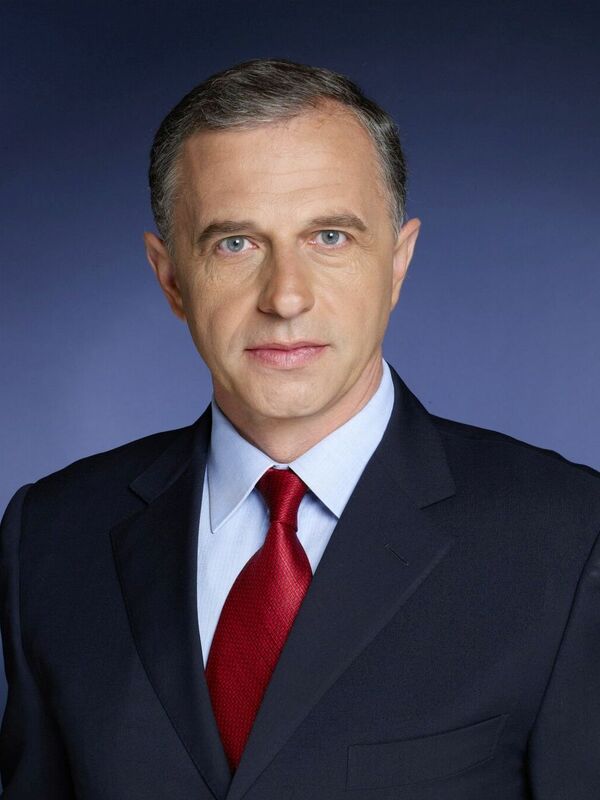 Mircea Geoana is the founder and president of the Aspen Institute Romania and a prominent international public figure. He serves on the boards of trustees of the Aspen Institute US, Aspen Germany and Aspen Italia. He is also Co-chair of Aspen European Strategy Group. Mircea Geoana ran for the Presidency of Romania in 2009. In an unprecedented narrow and contested election, he received 49.6% of the casted ballot. He served as the President of the Romanian Senate between December 2008 and November 2011 and President of the Social Democratic Party, from 2005 to 2010. Between 2012 and 2014, he served as Chairman of the Joint Committee of the Romanian Senate and Chamber of Deputies regarding Romania’s Accession to the Schengen Area, and as High Representative of the Romanian Government for Strategic Economic Projects and Public Diplomacy. Between 2008 and 2012 he also served as chairman of the Foreign Policy Committee of the Romanian Senate. Previous to his political career, Mircea Geoana had a successful diplomatic activity. Appointed Ambassador Extraordinary and Plenipotentiary of Romania to the United States of America at age 37, in February 1996, he was the youngest ambassador in the Romanian diplomatic corps. From 2000 to 2004, Mircea Geoana served as Minister of Foreign Affairs of Romania. He also served as OSCE Chairman-in-Office in 2001 and during 2005 he was the personal representative of OSCE Chairman in office for Georgia. Mircea Geoana is a founding member of the Harvard Club Romania – Republic of Moldova and of the Association of Former Students of E.N.A. (Ecole Nationale d’Administration). He also serves as Honorary Chairman of the George C. Marshall Association – Romania. He is the Chairman of the National Development Committee think-tank and the Romania Noastra civic platform. An alumnus of the Polytechnic Institute and, respectively, the Law School at the University of Bucharest, Mircea Geoana graduated in 1992 the ‘Ecole Nationale d’Administration’ in Paris, France. He graduated in 1999 the World Bank Group Executive Development Program at the Harvard Business School. He holds a PhD in world economy at the Economic Studies Academy of Bucharest. Mircea Geoana is an expert on European and Trans-Atlantic integration. He also was a NATO fellow on democratic institutions in 1994. He lectured on foreign policy, transitional economies, and globalization at major universities and think – tanks: Sorbonne, Harvard, Georgetown, Yale, CUNY, University of Pittsburg, CSIS, Atlantic Council, GMF, Chatham House, Policy Network, Friedrich Ebert Stiftung and is a contributor to important Romanian and international publications, like the New York Times, International Herald Tribune, The Atlantic, Frankfurter Allgemeine Zeitung. Also, he has been invited on foreign policy issues at CNN, BBC, PBS, Bloomberg, TV5, Fox Business, ZDF. He served as visiting professor and developed Leadership graduate and executive education courses at the Polytechnical University and the Academy for Economic Studies in Bucharest. Mircea Geoana is author of several books: ‘Romanian foreign policy in the beginning of the XXIth century – The road to Europe and transatlantic world’, ‘America, Europe and Romania’s modernization: bases for a Romanian societal model’, ‘The Romanian social model: the way towards a new Romania’, ‘Trust’. Mircea Geoana was decorated Commander of the National Order ‘The Star of Romania’ in December 2000, awarded the ‘Legion d’Honneur’ in 2002 (France) and ‘Stella della Soliedarita’ in 2013 (Italy). Born on July 14, 1958, Mircea Geoana is married to Mihaela, an architect by training. They have two children, Ana Maria and Alexandru. Mircea Geoana is fluent in English, French, Spanish and Italian. The Aspen Institute Romania in partnership with NATO's Public Diplomacy Division for its 5th collaboration, together with the Bucharest office of the German Marshall Fund of the United States are organizing the Atlantic – Black Sea Security Forum 2018. Atlantic – Black Sea Security Forum 2019, a high level international event, part of the Aspen National Security & Defense program, to be held on March 20-21, in Bucharest.